Let’s look at what a proxy actually is: it’s anything that pretends to be someone or something else. For example, a proxy might include a standby teacher in case the regular teacher is unwell or cannot take the class. These stand-in teachers, are only drafted in when needed to represent their colleague. When we talk about the digital world, a proxy is a stand-in facet whereby someone behind the computer wishes to divert attention or not display where the proxies are from in terms of location and IP address. The Internet is a huge pile of data. Google and other search engines, and other companies, often try to compile the millions or permutations of data to filter their adverts, products, services and offers to people that would probably want to buy or consume them. This is mostly fine as people, like you or I, don’t mind having products or services geared towards what we like shoved in front of our faces. Most data that is taken, in the form of a cookie, is your locality and an idea of your general demographic. However, in an age where we have apps for banking, our personal files and photos, data that is meant to be private, some people may feel that offering our true data to these super-computers and data-collectors makes them uneasy. This is where owning a variety of proxies, to hide or offer data that isn’t accurate can help them feel they are back in control of what is ‘out there’ on the world wide web. Why Do We Need Proxies? While some people may use proxies for slightly underground activities, there are just as many valid reasons why Internet users want to take advantage of them. With privacy concerns, data being leaked or lost, and the unknown of what the super-powers actually know about us; many people are turning to private proxies to keep their personal information, well personal! Putting the personal data and personal security aside, there are many companies that prefer to limit access for their colleagues or clients to their Internet access. For example, some banking institutions won’t even allow any Internet access due to security worries but employees are able to use the Intranet, which may detail any news about the company, updates, and other company information. Schools tend to allow very strict access to the Internet, and using a firewall, block any inappropriate websites or distracting games that aren’t in-keeping with the school’s ideology. 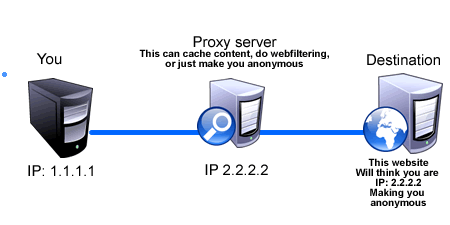 Why Proxies are Used on the Internet? Any Internet restrictions that may be in front of the user, will only be able to see a proxy, and the same goes for any data collectors; they simply see a feigned connection. As the proxy is the representation of the user, any restrictions or rules cannot be placed on the proxy itself. As you may be thinking, and we should point out that we do not advocate any wrong-doings, some people use proxies for illegal activity or think they can get away with things, but that’s not strictly true as the ISP will be able to see what they are up to. You’re not completely invisible behind a proxy, just some data has a blanket thrown over it. ISPs that think there is any illegal activity and a proxy being used, then they are required to notify the authorities. You’ve been warned! Some people prefer to just not offer up their data so willingly, and that’s why the proxy industry is so popular and becoming more and more of a commonplace for Internet users. Internet marketers often use proxies to be able to create new accounts on websites to gain backlinks from, and look like they’re different people doing that. This means that each link from the sites accessed give an extra boost the end site that is linked to. There are hundreds if not thousands of proxy providers out there, us included, but there are pitfalls with ‘companies’ cropping up and reselling other companies’ proxies and the whole subject of proxies tends to get devalued and ruined from overselling. The best way to buy proxies is to buy from the source. Buy from a company that is a little obsessive over proxy speeds, uptime, quick replacements (as even private proxies can die), and if they are sold as private then they should not be shared. Let’s use a kid at school as an example; pretend they want to play on their favourite game but they’re throttled by the school’s firewall. They can access their proxy and play their game to their heart’s content. However, the school will only see that a certain computer is connected to a proxy server – this can also be the warning flag as the school’s IT department may block that proxy immediately as it could seem like a security breach or knowing their firewall rules are being side-stepped. 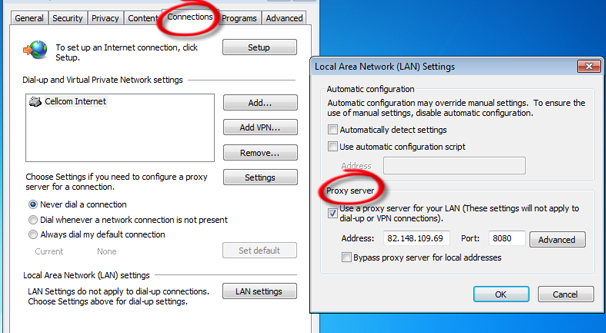 Configuring your proxy to run through your Internet settings on the router than just the proxy server itself, which, although it takes a little bit of knowledge and setting up it can be a great way to use your proxy. Remember, the biggest and most popular browsers accept proxy connections ie. Through Internet Explorer, FireFox, and Google Chrome. It’s important to find a company that sells proxies in order to be able to access the proxy server, so that they can hide their Internet activity or bypass certain rules, before the applications can be configured. Most are free but in order to gain the full functionality of a proxy server and access it, there will normally be a fee. Of course, you can see the benefits of having access to the Internet without the security risks, the lack of offering your personal and private data, but there is one major downfall and that is the connection speed. As there is a buffer in between you and the Internet, there is bound to be a drop in speed. Whatever servers are being accessed at any one time, the point of communication is being blurred, accessed twice, and ultimately, slowed down. For most people, it’s not a major issue but some people need to have quick private proxies for their requirements. If the proxy connection is too slow then their private data can actually be leaked through the stream of the connection, which is counter-productive to the whole idea of hiding your personal data from prying eyes. To get around this, it’s important for an Internet user to find a proxy company that is transparent and shows how the information that is kept is used or how the customer’s data could be tunnelled through the connection and how that would affect their privacy. 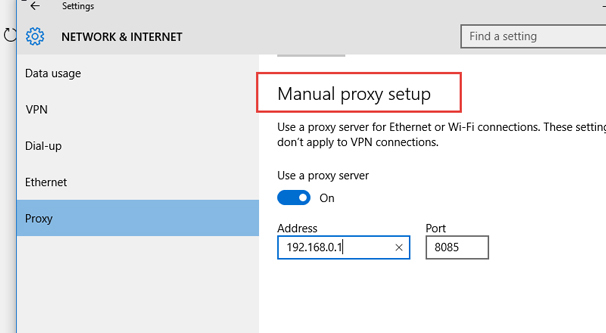 If you’re a first-timer, then here’s how to configure a connection to a proxy, starting with Microsoft Edge, which is the new browser for Windows 10, as well as instructions for Explorer, too. When it comes to proxies, there are a few things to point out when it comes to the security of using a proxy connection. The company you use will have a few different forms of security they place on the proxy itself. They also give the customer everything they need to know when it comes to configuring their computers, phones or other devices to the proxy service. SOCKS – is a connection between the proxy server in a virtual handshake format. This protocol can utilize TCP and UDP traffic and can work in either direction. There are two operations that are most common, named SOCK4(a) and SOCK5. The latter offers a greater-level of authentication, such as UDP and IPv6. HTTP – This protocol sends the HTTP requests to the respective servers. There is an openness to the connection of the device and the server. The exact request from the device to the server is sent in the exact same way it was intended and received in the same format. P2P – Most proxy suppliers will state if they support P2P, which is the common name for Peer to Peer. This sort of proxy connection is used for the sharing of content and usually downloading of torrents. In order to troubleshoot the setup and configuration of your proxy server, you should always check the company’s documentation regarding their own factors as they can vary from company to company. 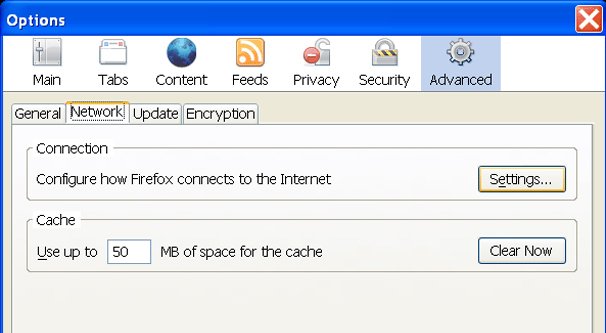 As there are so many proxy suppliers out there, each one will have their own way that they setup the proxy settings and there are many variables to take into account, such as the browser, operating system, type of proxy and so on. The same goes for Virtual Private Networks (VPNs) and they too have a variety of ways that they can be setup for their specific applications and browsers. If you want to find out if the information is being sent properly from the proxy server, there are a myriad of websites you can check what your IP address is into your browser. They will scan and check your connection that is being shown or visible, to those applications that collect and can scan data. 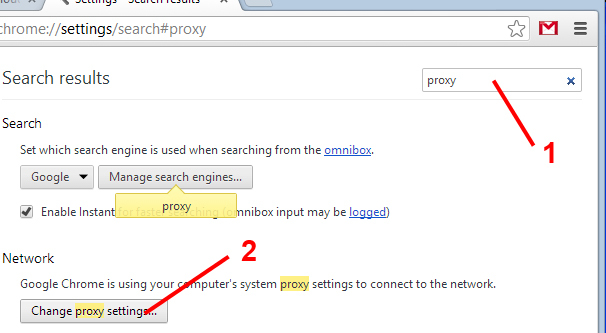 If you know your true IP, then you check your IP address while using the proxy you’ll see a different set of figures. This will show and prove that the proxy is live and working. There are even websites to check the speed of the connection or apps that can quickly test and scan the IP for the speed of the data. If, for any reason, there is a need for troubleshooting such as your actual IP address being shown or some website pages are being blocked, then you can often ask the proxy company to look into it and see if the proxy is live and working well. You should refer to the company’s dashboard, which is usually available, in order to troubleshoot properly. The software should be able to help find any problems, as there are few that can go wrong in reality, and it will do a generic test on security protocols, address and port are correct. If either or all of those should fail, then the support phone number or email should be used so the company can be notified and they can start that proxy or give you advice on what to do, or replace it with another proxy.